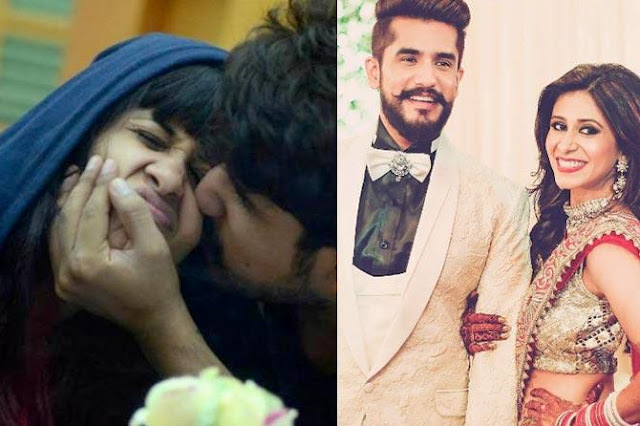 Here we have compiled Bigg Boss lovebirds’ extra cosy and intimate moments from the show, right from season one to season eleven. Diandra Soares and Gautam Gulati’s steamy romance was the reason of Bigg Boss season 8’s high TRPs. In the house, Diandra and Gautam were unbelievably bold when they went inside the bathroom to have some ‘private time’ and even kissed in full view of the cameras. Also, there were rumours that Diandra got eliminated from the show because of her sudden pregnancy. Puneesh Sharma and Bandgi Kalra gave us no dearth of entertainment with their hotness quotient. But their romance was often termed as fake owing to the marital status of Puneesh. Bandgi and Puneesh were caught a lot of times getting intimate, on the camera.